Don’t let the broader “Sonoma County” designation fool you. 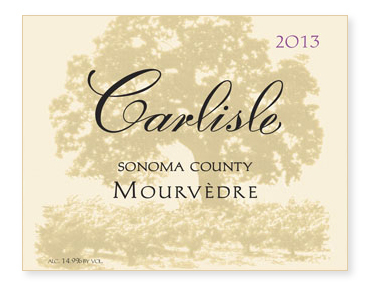 This is no ordinary Mourvèdre! Most of you know that each year we typically produce a Sonoma Valley “Bedrock Vineyard” Mourvèdre from vines planted in 1888. That was certainly our intention in 2013. But after coming up with the final Two Acres blend, we ended up with four unused barrels of old-vine Russian River Valley Mourvèdre. On a whim, we decided to see if these four barrels would play nicely with the Bedrock Mourvèdre. Oh my! Not only did they play nicely, they rounded third and got to home base! Since we’re all about making the best wine possible, we went with the blend. (Sorry Morgan!) Unfined and unfiltered.